1. My first tip is to pay attention to sound. 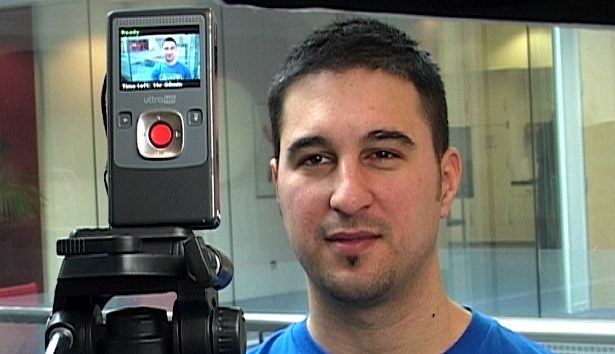 If you’re using a flip cam or a similar video camera, make sure you’re in a quiet location so the background noise doesn’t bother the viewer. Unless you are shooting a music video, it should be quiet around you. Before you start filming, make sure that you are not going to be interrupted by cell phones, barking dogs, or people chatting in the background. Also make sure your camera is close enough to the subject that you will be able to hear them clearly. If you’re using a camera that will allow an external microphone, look into these sound enhancing options. Shotgun mic, Lapel mic, handheld mic or a wireless external mic. 2. Be short and to the point. Do you know what WIFT means? It means your viewers want to know what’s in it for them so, get to the point right away and then share your information later. Present your message with your audience in mind. Time is valuable and let’s face it, if they get bored they will click you off and be on to the next video with-in the first 20 seconds. They don’t want to waste time watching a hard sales pitch, a boring commercial or a misleading message. Make sure you include your contact information and give them a good reason to visit your store, call you, like you on your Facebook business page, sign up for your FABULOUS newsletter or visit your informative website. Think of other ways they can connect with you too like: following you on Twitter, reading your blog or asking a question in an email. Encourage your viewers to follow-up with you in a quick and easy way. 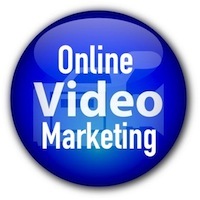 Video can be a powerful tool in communicating with your customers and potential customers too. Just this week I received a glowing testimonial from a client who said he’s thrilled about the new clients he’s getting from the video’s we produced for his website. He’s had such an increase in business he’s asked us to record a video every month for him. The first video we shot was an introduction on his front page so people could get to know him. Know, Like and Trust is what your customers want and video is the easiest way to accomplish this. If you have any questions or would like to see some of the videos I have produced, please visit my website and if you like what you see, contact me so we can talk about your online success. Keep in mind that anytime you decrease the file size of you video, you are also decreasing the quality. His favorite video encoder of all time is MPEG Streamclip, a free open source video conversion tool for Mac or Windows. While it’s not perfect it is easy to use. Today, online video has become as prevalent as text on the web was more than a decade ago and is now being used as an effective marketing tool for businesses small and large alike. In a recent article in the New York Times, Kermit Pattison highlighted the growing trend of businesses using video as a low-cost way to reach to sell their products, connect with customers for deeper conversations and communicate their brand. The barriers to creating and distributing professional-quality video have been eroded with the development of affordable content creation tools and the solutions available from online video platforms. In the example presented by the New York Times, Pattison focused on how a small California manufacturing company, Ceilume, decided to use online video as a way to tell customers how its products were different from its competitors. Pattison spoke with Ed Davis, President of Ceilume, who discussed how video marketing helped tell his company’s story better than any other marketing approach it had tried before. SHOW YOUR PRODUCTS – Online video may be the best way to demonstrate a product. Customers can see the actual product and make purchasing decisions based on what they see rather than having to request a sample. CREATE A DESTINATION – Having an online video spokesperson in your video adds that human touch that no other marketing tool can duplicate, short of being there in person, and when you add that element to your company website you create a reason for customers to keep coming back. Your website can become your company channel full of useful information that connects with your customers and you’ll be seen not as pitching products, but as customer-friendly experts. USE ANALYTICS AND TOOLS – All video platforms, including: YouTube, Vimeo, Facebook, Blip.tv, and professional platforms like Brightcove, Ooyala or Kaltura, offer tools that allow you to measure the effect of your videos. The ability to measure video traffic beyond “views”-including audience dropoff, what sites and search terms are referring viewers, and audience geography-offers content publishers deeper insight into both the viewing habits of their audience and the extent of your video’s reach. BUILD A BRAND CHANNEL – One way to get the attention of customers is invite them to become your video producers — especially if they jump off cliffs, ski down steep powder ridges or do somersaults on BMX bikes. ADVERTISE WITH VIDEO – YouTube is the second-largest search engine after Google (which owns YouTube) and represents a huge audience of potential customers. It offers a dozen advertising options, including banner ads, promoted videos that appear on top and beside search results, and “preroll ads” that appear during other YouTube videos much like a conventional TV commercial. YouTube recently announced that it was displaying more than three billion ads per week. OFFER INSTRUCTION – Pictures are really worth a thousand words and video multiplies that equation with 30 pictures a second. Online video makes it easy to follow the adage “Show, don’t tell.” Many businesses have turned to video for instruction manuals and how-to guides.